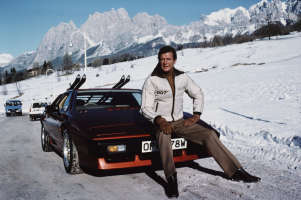 Behind The Scenes In The Making Of "For Your Eyes Only". . Wallpaper and background images in the James Bond club. This James Bond photo might contain 눈 더미, 눈 은행, 스노우 뱅크, and snowbank.